DeVere H. Anderson is the Owner, President, and Chief Executive Officer of DeVere Anderson Enterprises, founded in January, 1985. 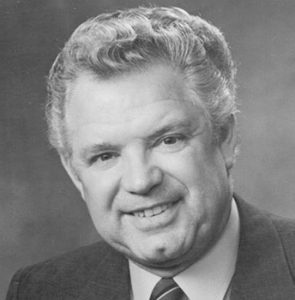 For 10 years prior to founding his own company, DeVere Anderson served as President of W. & A Builders, Inc., which he owned in partnership with Ray Watt, a previous Hall of Fame Honoree. During his 32 years of experience in the building industry, DeVere Anderson has built over 5,000 residential dwelling units and over 500,000 square feet of industrial space. A Past President of the Building Industry Association of Southern California, De Vere has served on the Board of Directors for the National Association Builders, the California Building Industry Association, the Building Industry Association of Southern California, and the Greater Los Angeles Chapter of the Building Industry Association of Southern California. He served three years as Chairman of the State Legislative Committee for the California Building Industry Association. Mr. Anderson has received numerous awards and recognitions including 1984 Builder of the Year by the Greater Los Angeles Chapter of the Building Industry Association of Southern California, 1984 Building Industry Association of Southern California's Past President's Award, 1985 Building Industry Association of Southern California's Achievement Award, and the National Association of Home Builders Life Time Spike Award. An active leader in his church, De V ere Anderson has served as Bishop in the Church of Jesus Christ of Latter Day Saints. He was also a founder of the South Bay Family YMCA, and a Guardian Member of the Boy Scouts of America. He is a past member of the Chino YMCA, Youth Sponsor 500 Club, Los Angeles Chamber of Commerce Housing Committee, and the Joint County Industry Legislative Committee.